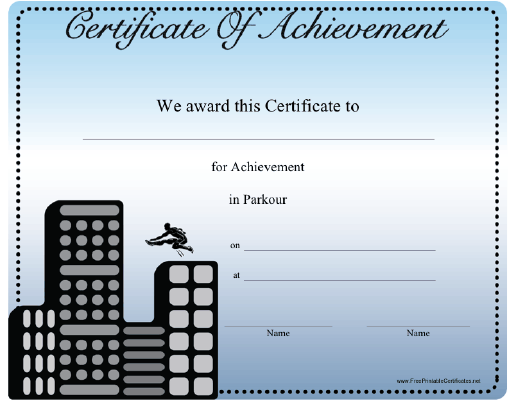 This Parkour Achievement certificate features a parkour runner jumping over the city. Many PK practitioners, regardless of their philosophical stance on the traditionally non-competitive discipline, will treasure this award. May also be used to identify an instructor of parkour.